Fill out the form below and let’s start planning the best prom night ever! Dreaming of arriving at your NJ-NY Prom in the best prom limo in NJ? Than look no further! Santos VIP Limousine offers one of the largest and most amazing fleet’s of luxury prom limousine, specialty cars and limo coach party buses for prom in the New Jersey and New York area. Why choose Santos VIP for your prom limo? For over 20 years we have been providing the best prom limo experience throughout New Jersey & New York. We strive for excellence which means that your prom limousine will arrive on time and meticulously clean on the day of your prom. And parents, you have the peace of mind knowing that your young adults will be safely transported to their various New Jersey & New York prom party events by a professional chauffeur who will be with them throughout the entire prom night making certain that everyone arrives safe and sound. Arrive at prom like a celebrity and leave like a rock star! At Santos VIP we are all about making a grand entrance and we are proud to offer the finest prom limos and limo coach party buses for your prom in New Jersey & New York. Our extensive prom limo and party bus fleet incorporate some of the most popular, highly sought after exotic prom limos available such as the Rolls Royce Phantom and Chrysler 300 stretch limos. 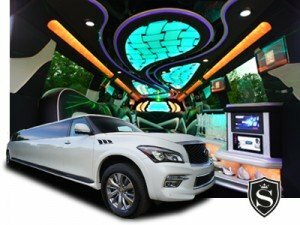 For larger groups, we offer a large selection of incredible SUV stretch prom limos such as the Escalade ESV Limo and Infiniti QX-80 Limo as well as the Luxury Limo Coach Party Bus that can easily accommodate up to 42 people. Whichever prom limo you choose, we are certain that you will find the perfect limousine that will make you and your friends stand out from the crowd! The do’s and don’ts when renting a limo or party bus for your prom. 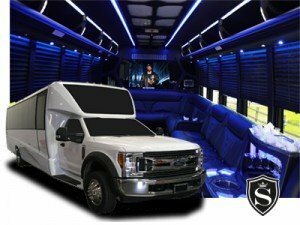 We want to make sure that you and your friends have the absolute best experience when you reserve your prom limo with us, so we have put together some helpful prom limo rental tips to help you search for the best prom limo or party bus, so that everyone in your party has the best prom night ever! The service was incredible and our experience unforgettable. Being able to play our own music was great, as well as the ride itself. We definitely know what service we’ll be using next year! Used Santos VIP Limo for my prom night and I had an amazing time. The driver was extremely friendly and we were able to put whatever music we wanted. The limo was impeccable and everything was in perfect condition. From exquisite, high-end limousines to our limo coach party buses, our fleet includes a wide range of beautiful, stylish choices for prom. Prices listed below INCLUDE all service fees and tolls and are for proms starting and ending in New Jersey only. A 35% non-refundable deposit is required in order to reserve. Is your starting in New York or Pennsylvania? No problem! 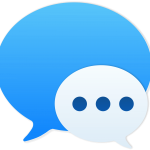 Fill out our Limo Quote Form above and one of our team members will send you a custom quote in minutes. Please note we do not service the following areas: Westchester County, Nassau County, and Suffolk County, NY. Proms on June 7th, 2019 have an 8-hour minimum. If your planning on having your final drop off in Seaside Heights or Long Beach Island, NJ, we will need 1 hour travel time back. For Wildwood, NJ drop-off’s we need 2 hours travel time back. Poconos, Upstate New York and Hampton’s, please call for details. READY TO RESERVE YOUR LIMO OR PARTY BUS FOR PROM? Awesome! Call us at (732) 596-1100 and one of our team members will get your prom limo reservation started. Please note that in order to reserve your prom limousine or party bus you must be at least 18 years of age with a major credit card (Visa, Master Card, Discover, American Express, etc.). If you are not 18, don’t worry, just have a parent call us to reserve your limousine or party bus.